Bluebird is strategic brand consulting and visual communications firm that helps companies increase demand by building brand equity. Creating a positive and engaging brand experience for your customers is the fundamental goal. Our Denver-based agency not only specializes in the development of brand strategy, communication and design, but also transforms your brand to make it relevant in the digital environment. Brand Strategy: We are brand strategists and artists that use business sense, creativity and collaboration to activate your brand story, give it traction, and make your brand come to life. Brands become a shortcut for consumers when making buying decisions. They embody the perceptions that buyers have about a product or service. A corporate identity - or “logo” - serves as a visual metaphor that expresses your brand in a creative, compelling, and timeless manner. The development process must aim to make the logo immediately recognizable, inspiring trust, credibility, admiration, loyalty and an implied superiority. Visual Communications Systems: Your Visual Communications system – the overall look and feel of your brand – represents one of the most under-utilized opportunities to build brand equity. The VisCom system includes the places where your brand will appear (i.e. business cards, marketing materials, website, etc.) enabling you to use design elements, imagery, color, shape and typography to consistently articulate a positive brand image. Website Development: Bluebird differs from Web development firms in that we place a stronger emphasis on strategy and are focused on helping users locate the most important information in the least amount of time. Our Web development philosophy is based upon art, science, and efficiency, designed to communicate the brand in a most compelling way.  Our clients are large and small, located across the nation and even as far away as South America and India. They come from various industries both in B2B and B2C markets.